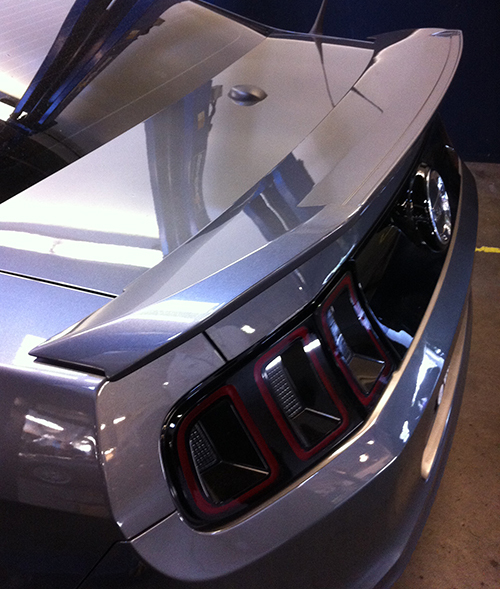 We have the pleasure of doing some sweet modifications to a beautiful Mustang. 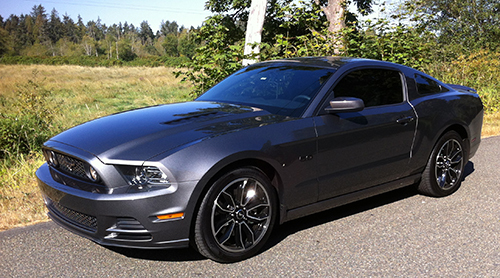 Mr. Wee has trusted us to work our magic on his brand new 5.0 Mustang. I will add images of what we have done to this entry as time permits. 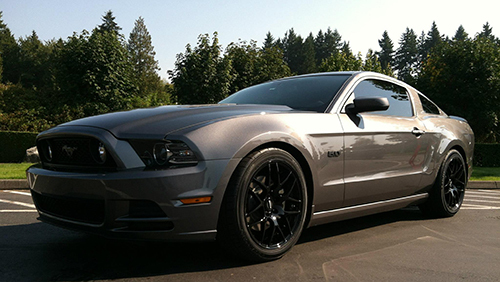 These modifications went well and the car drives and sounds incredible now! This is the Stock sound. 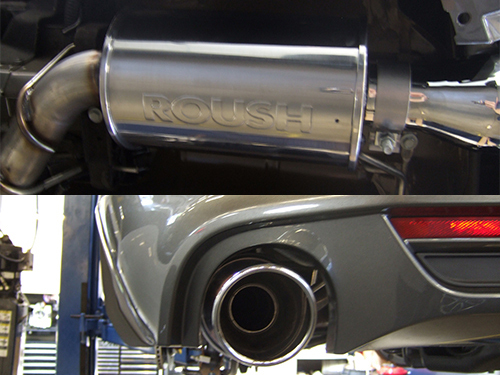 And, here is the sound from the Roush Exhaust. •	Super strong chromoly steel. We will start with the back first. 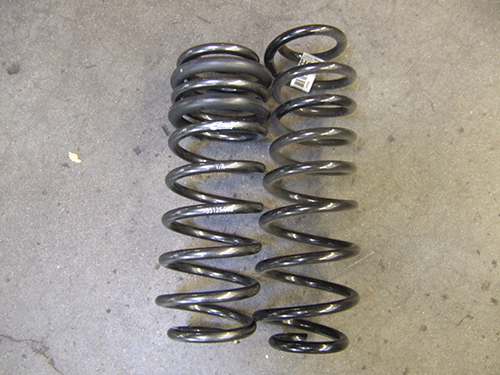 Out come the stock springs, shocks, sway bar, lower control arms and panhard bar. 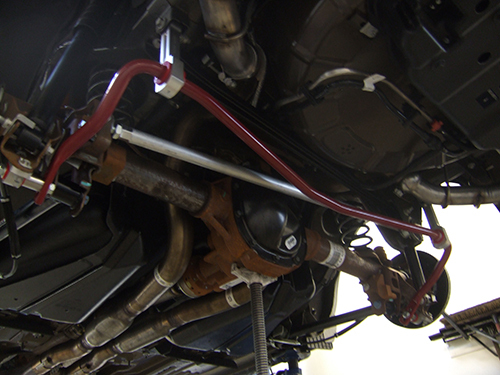 We install the rear progressive springs, shocks and adjustable sway bar. 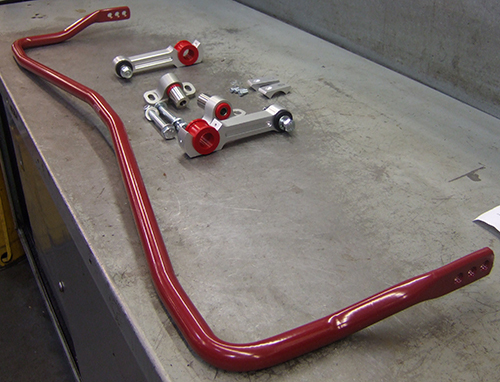 We also install the new control arms and adjustable panhard bar. 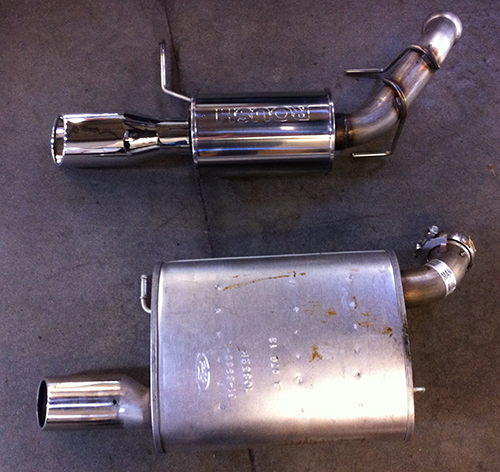 This is also a good time to install the new Roush exhaust. Next we install the rear upper shock tower brace. 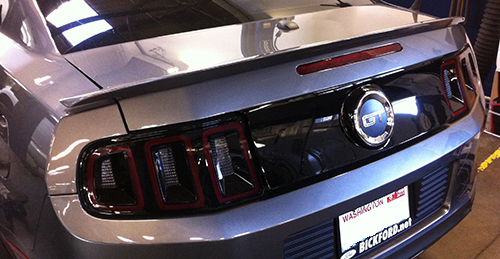 For the final touch at the rear of the car, we took off the stock 5.0 spoiler and put on a GT 500 spoiler. Here we have peeled off the original one. A nice way to peel off the spoiler (or tape on emblems etc.) is to use fishing line. Just put on a pair of gloves and take a long piece and pull it under the spoiler. Works great. Then, soak it with some adhesive remover (made so it won’t damage the finish) and remove the remnants. On with the new. Looks great! Next up, we move to the front!